Japan’s decision to deploy the short take-off and vertical landing (STOVL) variant of the joint strike fighter, the F-35B, from its Izumo-class warships will transform them into what many predicted they would eventually become—small aircraft carriers. The jets based on JS Izumo, and its sister ship the Kaga, will be constrained to short-range roles by Japan’s lack of an in-flight refuelling option for the F-35B. The dozen or so aircraft likely to be embarked won’t be enough to constitute a traditional carrier air wing, but they will better support the defence of Japan’s vulnerable archipelagic regions in the Southern Ryukyu and maybe the Senkaku Islands. However, Tokyo should be hesitant about deploying these ‘carriers’, even with destroyer escorts, into the teeth of China’s anti-access/area-denial capability. That’s a problem, because China’s A2/AD perimeter already extends out as far as Guam, with the deployment of its DF-26 anti-ship ballistic missiles, submarine-launched anti-ship cruise missiles and long-range airpower. The key challenge for Japan—and the United States—is in confronting the dilemma of whether the aircraft carrier can survive in a contested environment. It’s a question that’s also relevant to Australia, should it ever be tempted to deploy an F-35B on its Canberra-class landing helicopter docks. The possibility of flying F-35Bs from the LHDs was discussed in an ASPI report by Richard Brabin-Smith and Benjamin Schreer and a series of articles in The Strategist in 2014 (I contributed some of those—here and here), prior to the release of the 2016 defence white paper. A new white paper is likely perhaps as soon as 2020, and with Japan’s decision sure to stimulate further debate in Canberra, it’s useful to have another look at whether we should follow Tokyo’s lead. The conceptual driver for the discussion is to equip the ADF so that it can best project power and support expeditionary forces in distant deployments beyond the range of land-based air cover. HMA Ships Canberra and Adelaide are larger than Australia’s last aircraft carrier, HMAS Melbourne (which was sold to China and turned into a floating casino), and both have the ‘ski jump’ necessary for operating STOVL aircraft. 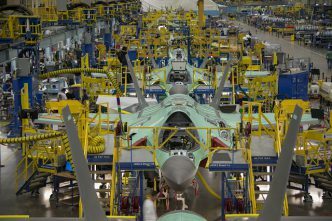 Our acquisition of the conventional F-35A raises the possibility of getting up to 28 F-35Bs to operate off the LHDs as part of phase 2C of the AIR 6000 project. The F-35B would give us some clear operational advantages. A small force of the jets based on the LHDs could provide a limited level of air support for expeditionary joint taskforces, and take on roles including fleet air defence, close air support for ground forces, and penetrative intelligence, surveillance and reconnaissance. 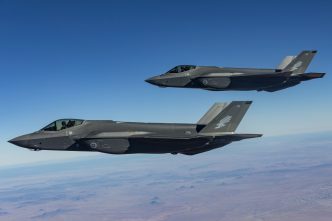 Fifth-generation fighters like the F-35 are the apex predators of the skies and the plane’s most important asset is its ability to act as a stealthy node in a ‘system of systems’ network. The F-35B could supercharge defensive networks like the ‘cooperative engagement capability’ on our Hobart-class destroyers and Hunter-class future frigates, contributing to their survival and boosting their combat effectiveness. We would also be better placed to support other F-35B operators—including the US, UK and Japan—as well as the US Navy, which flies the F-35C from its traditional ‘big-deck’ aircraft carriers. 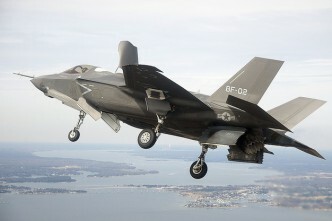 But using the F-35B would also present us with some real challenges. It seems unlikely that the Canberra and Adelaide would be converted to operate the jets because of the significant work and money involved and the associated reduction in the ships’ amphibious potential. Brabin-Smith and Schreer estimated in 2014 that it would cost $500 million to convert one LHD, including adapting the deck to handle the heat generated by the F-35B’s engine. Despite their capacity to accommodate a number of STOVL aircraft, the LHDs are multi-purpose amphibious assault ships—not dedicated aircraft carriers. Because of their finite capacity, they can’t carry a full complement of helicopters, and amphibious troops with their vehicles and equipment, and simultaneously deploy a useful number of STOVL aircraft and additional support aircraft. Even in a ‘STOVL-only’ configuration, the LHD would face challenges in generating enough F-35B sorties continuously to protect itself and ships in company against a capable adversary. At most, a single LHD could carry between 12 and 16 jets, and not all aircraft would be airborne all the time. The design compromises required for STOVL capability also mean that the ‘B’ is the least capable variant of the F-35 in terms of speed, range and weapons payload—especially in full stealth mode where it is most useful. 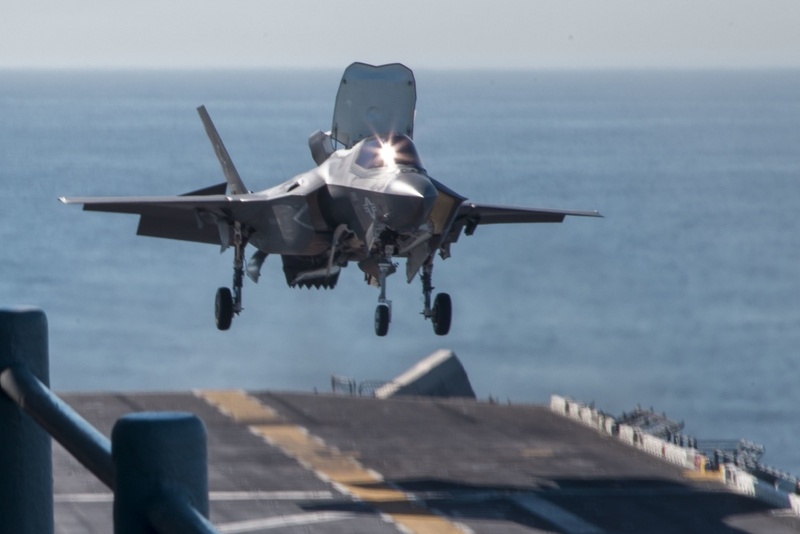 While the jet’s limitations seem like a big disadvantage in the context of traditional aircraft carrier operations, perhaps it’s time to think about the combination of F-35B and LHD differently. As I noted earlier, the F-35’s data-integration and networking capabilities give the aircraft its warfighting edge. The move to a fifth-generation paradigm shouldn’t be restricted to the RAAF; the navy also needs to adopt a network-centric mindset. It’s clear that any LHD carrying F-35Bs would have to be defended by surface ships. In a coalition taskforce, Australian and allied naval forces could protect the LHD, but in some scenarios we might need to deploy independently or lead a regional coalition. That would place greater demand on our naval assets to form a taskforce supporting the LHD, though the navy’s three Hobart-class destroyers and nine Hunter-class future frigates should provide that capability. Using the F-35B to enhance the warfighting potential of the LHD’s escorts is an interesting prospect that needs to be explored further. 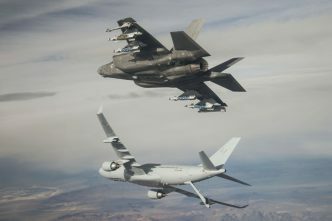 There’s significant potential for force multiplication if the F-35B is used in conjunction with platforms like the E-7A Wedgetail and unmanned aerial vehicles also based on the LHDs, to act as both intelligence, surveillance and reconnaissance assets and networking nodes. Looking further ahead, an even more intriguing option would using the LHD to house unmanned combat aerial vehicles. 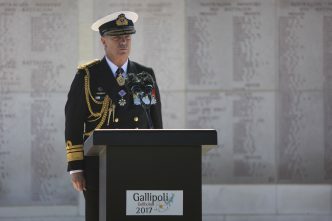 The strategic outlook now is far more dangerous than the 2016 defence white paper predicted, and that demands a rethink of Australia’s force structure and overall level of defence spending. The arbitrary figure of 2% of GDP set out in the 2016 white paper should be a mandatory floor and the strategic case needs to be made for further growth in defence spending. Additional funding would raise the prospect of a larger navy than that anticipated in the 2016 integrated investment program. If the money is made available, a third LHD with a wing of between 12 and 16 F-35Bs, supported by a larger fleet of destroyers and frigates, is an option that should be on the agenda in any force structure debate. In considering the F-35B, Australia, like Japan and the US, must reckon with a more dangerous strategic environment and the reality that adversary capability is progressing swiftly. We have arrived back at the more fundamental question for Western carrier-equipped navies confronting Chinese and Russian A2/AD: can the aircraft carrier survive?